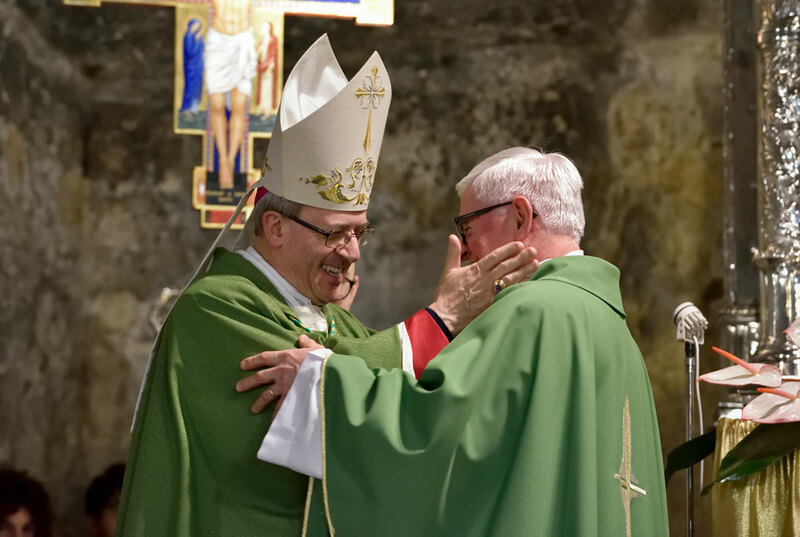 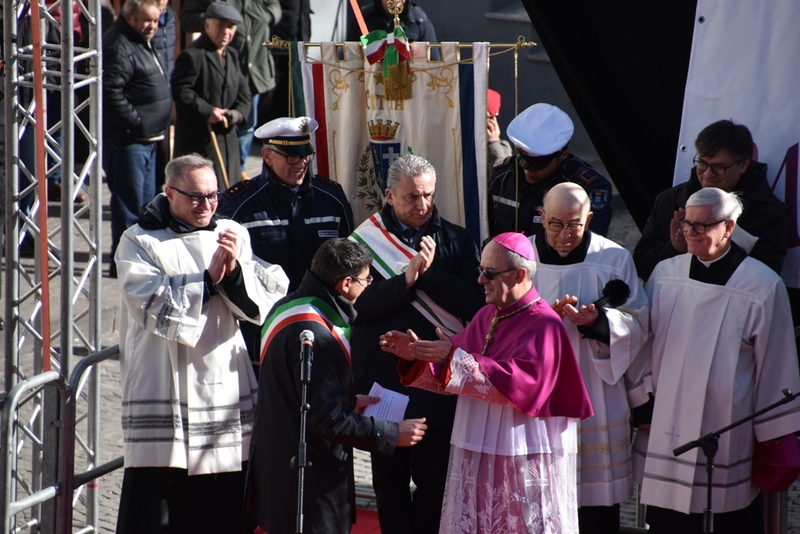 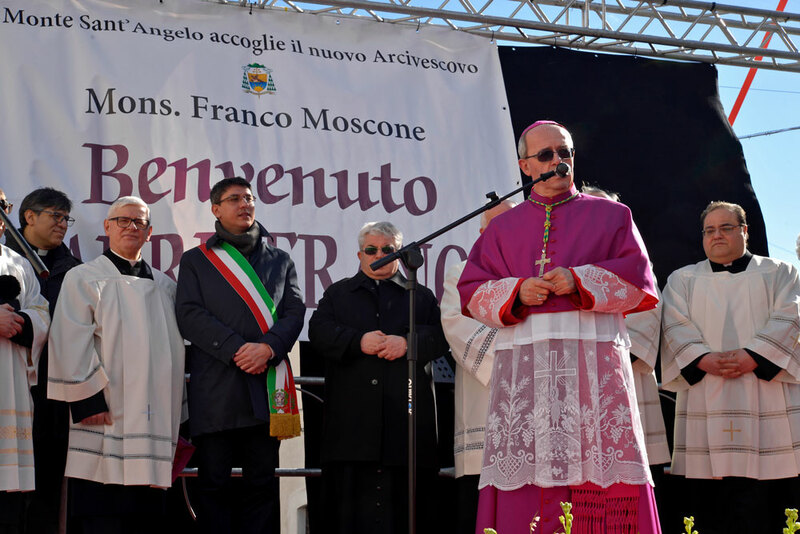 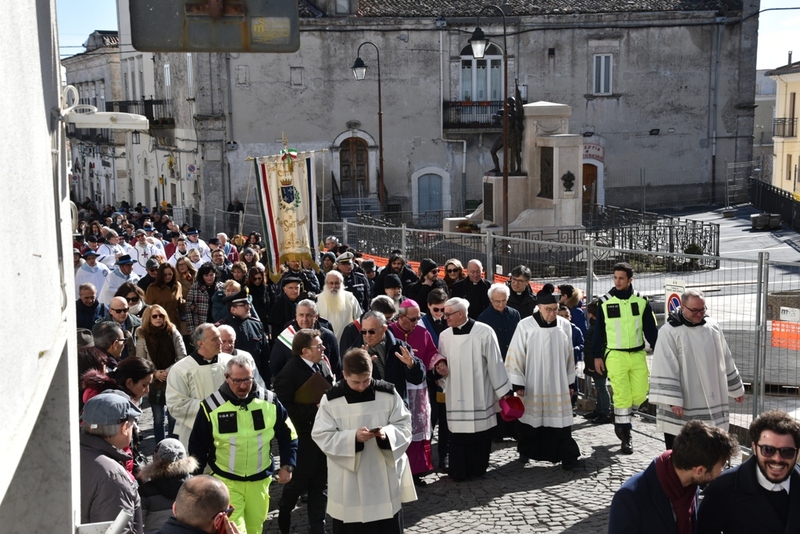 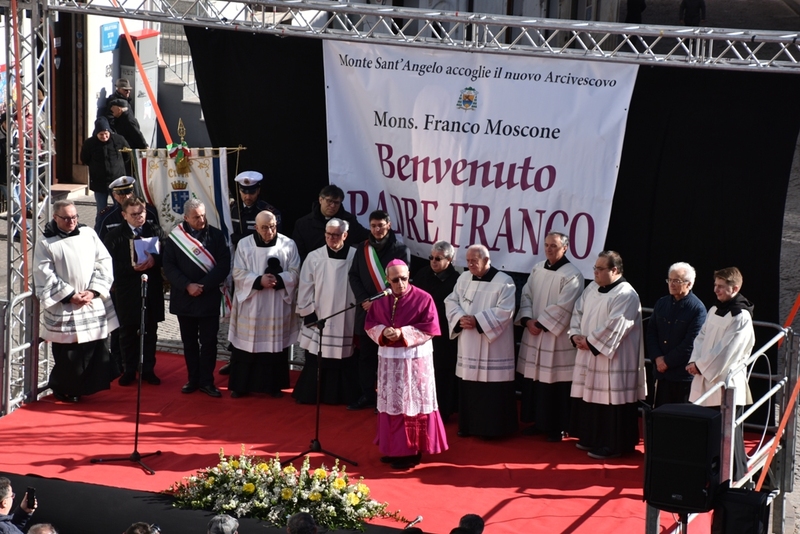 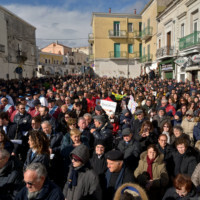 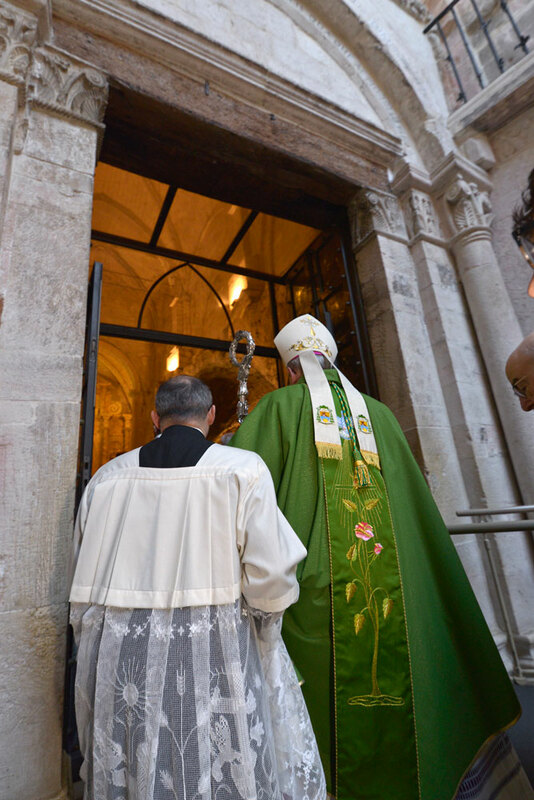 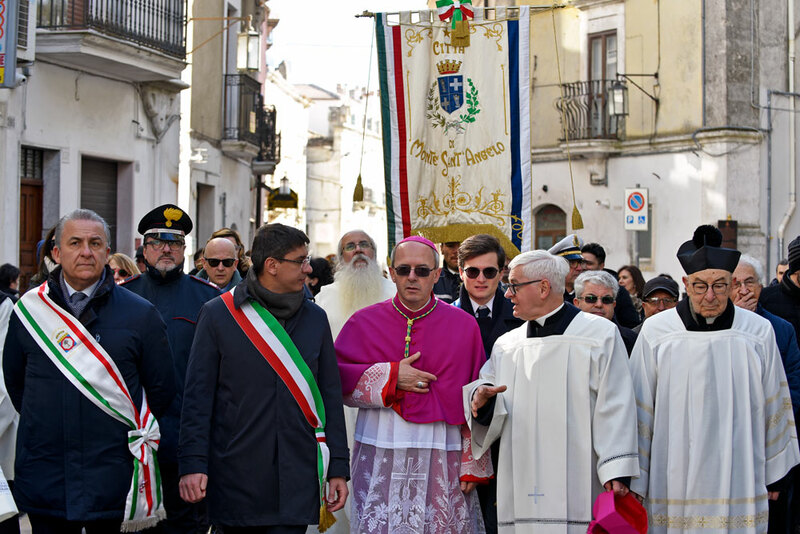 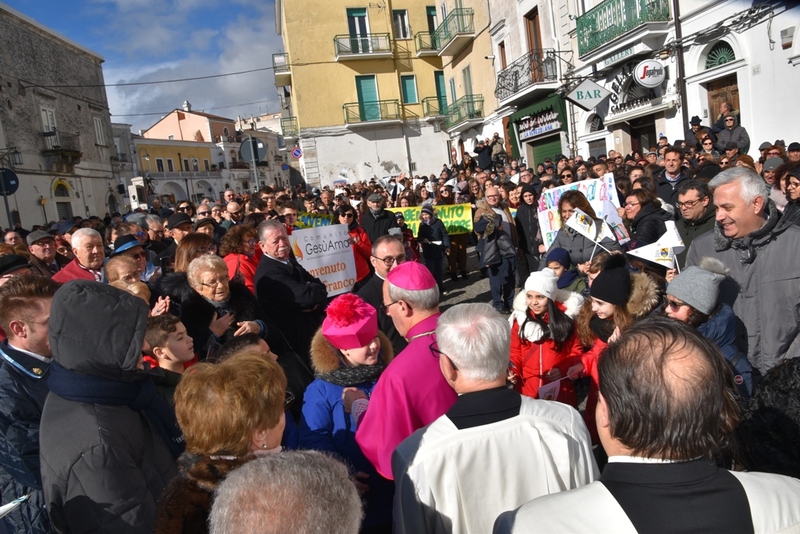 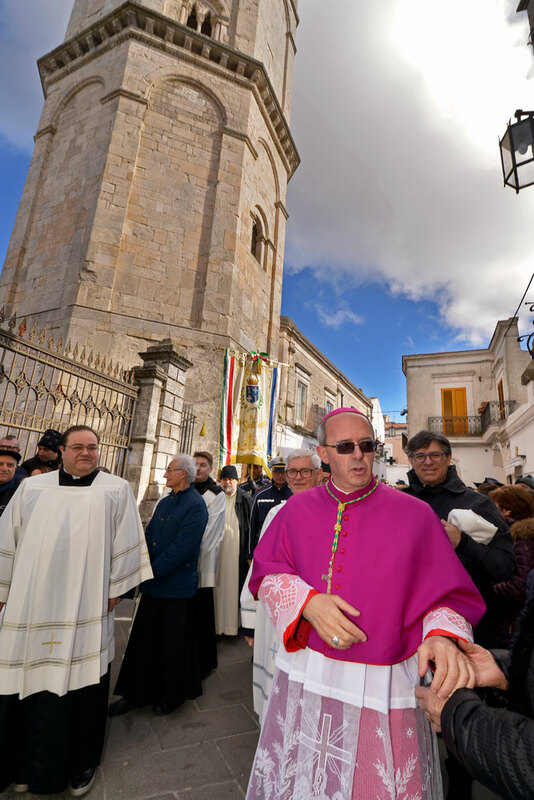 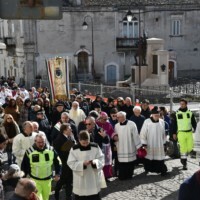 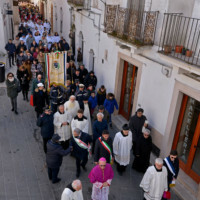 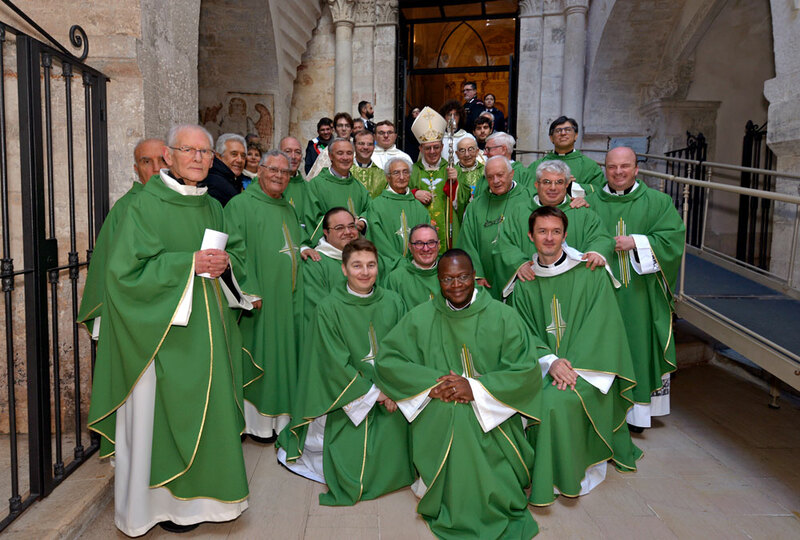 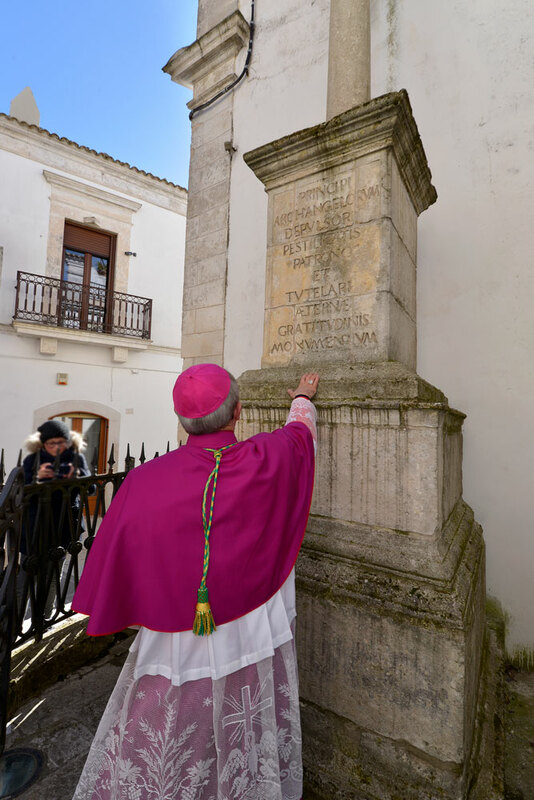 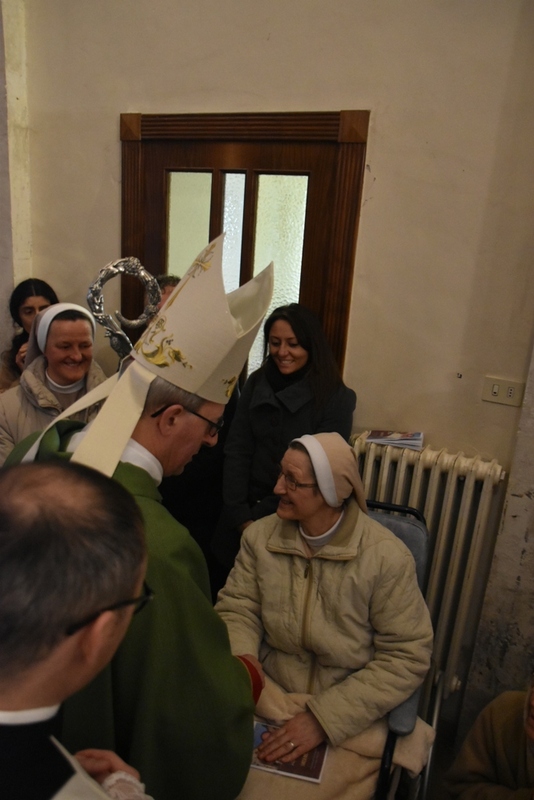 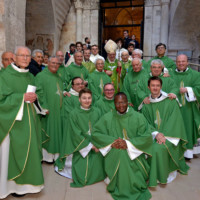 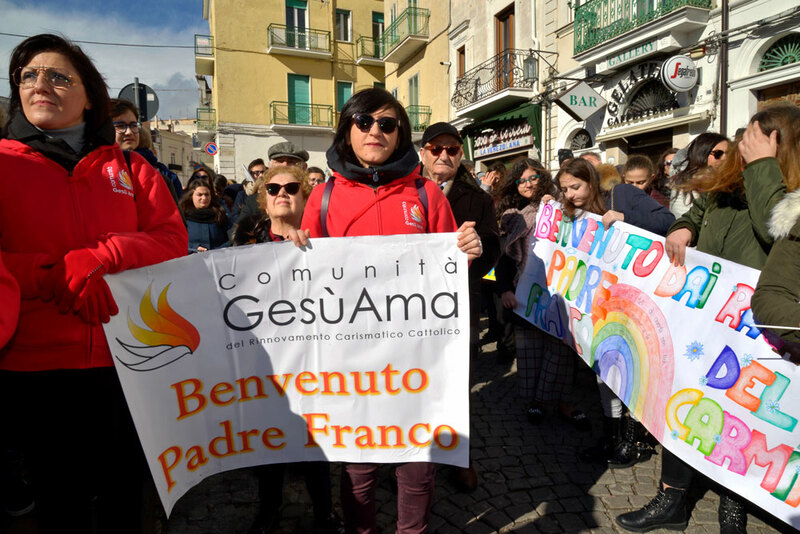 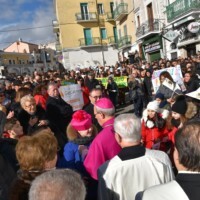 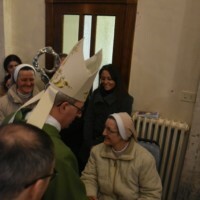 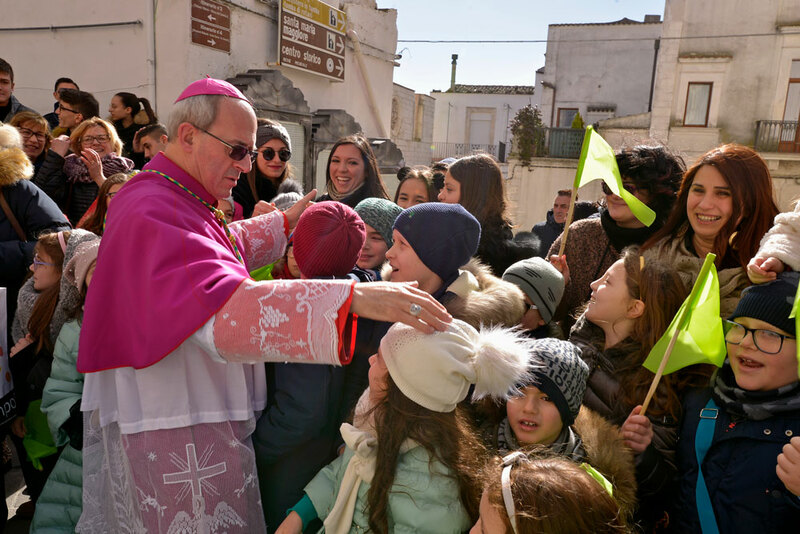 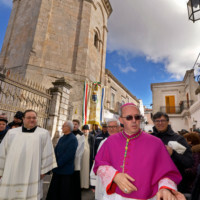 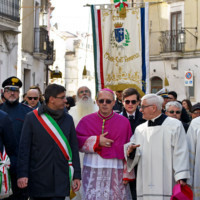 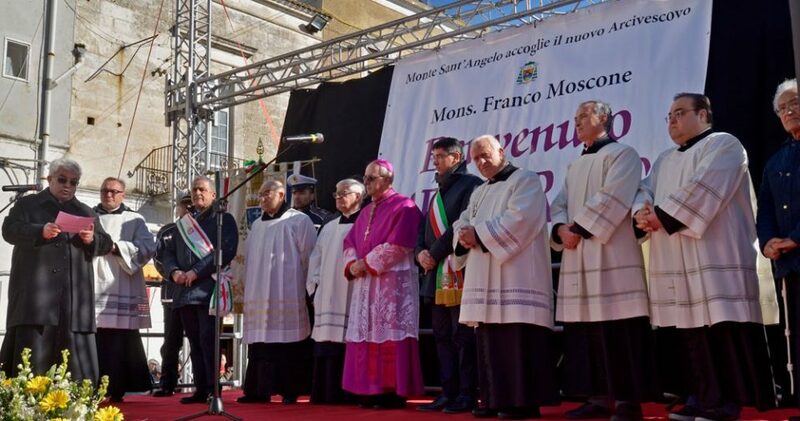 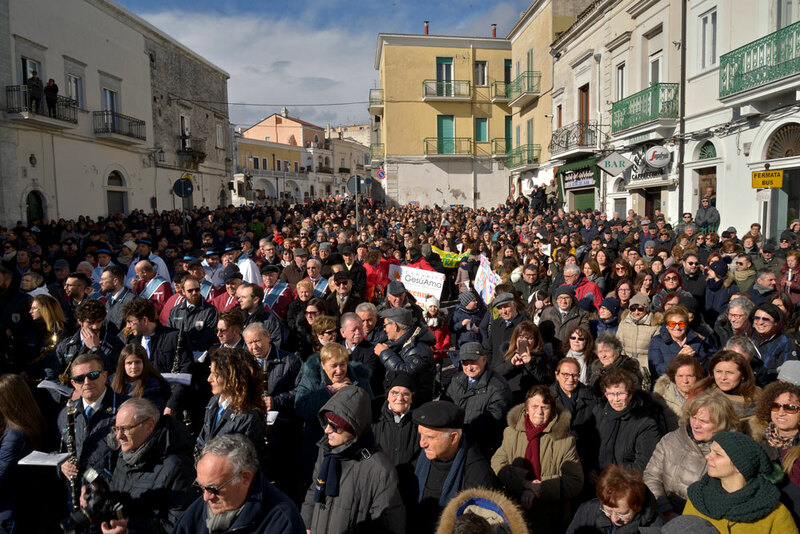 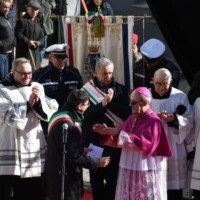 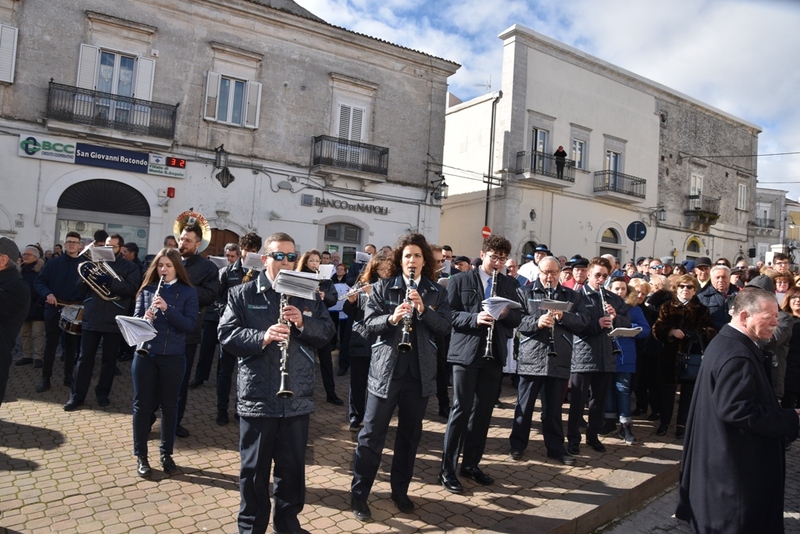 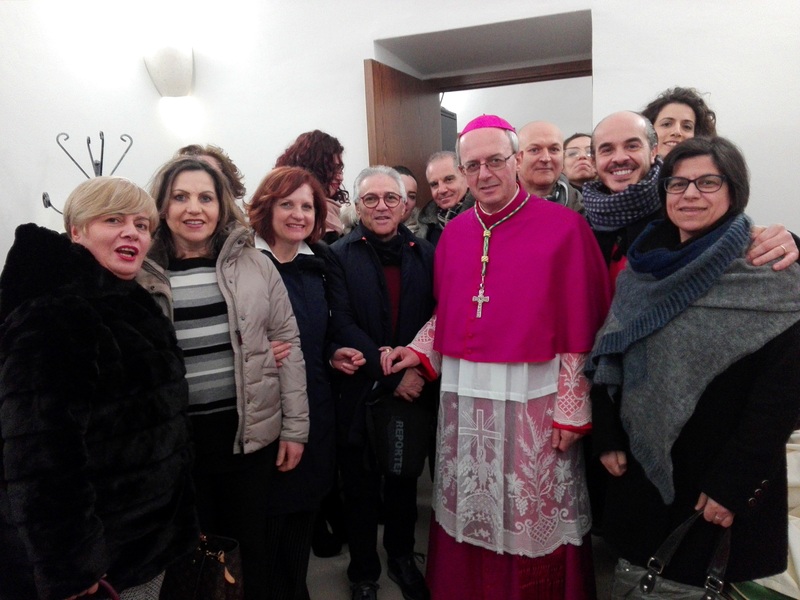 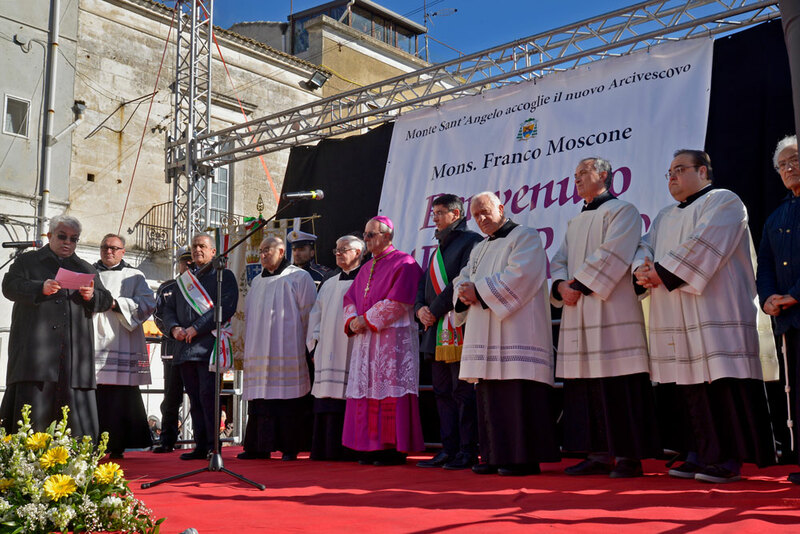 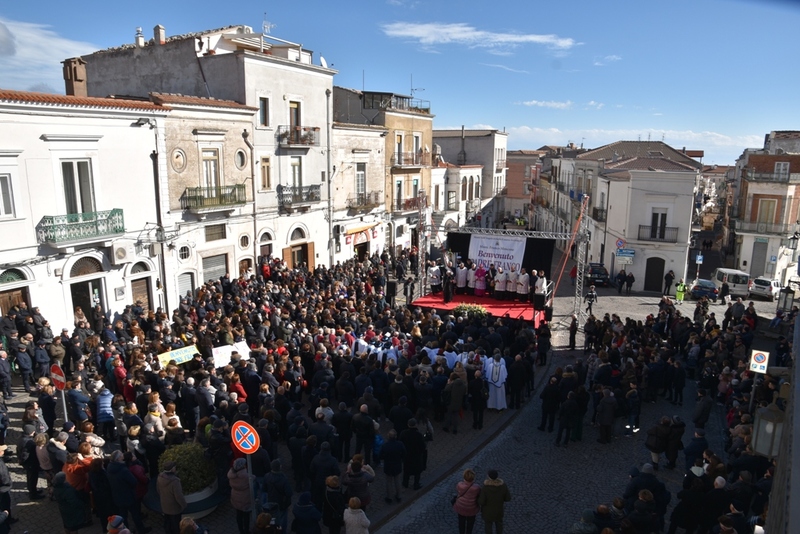 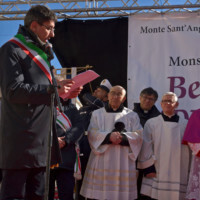 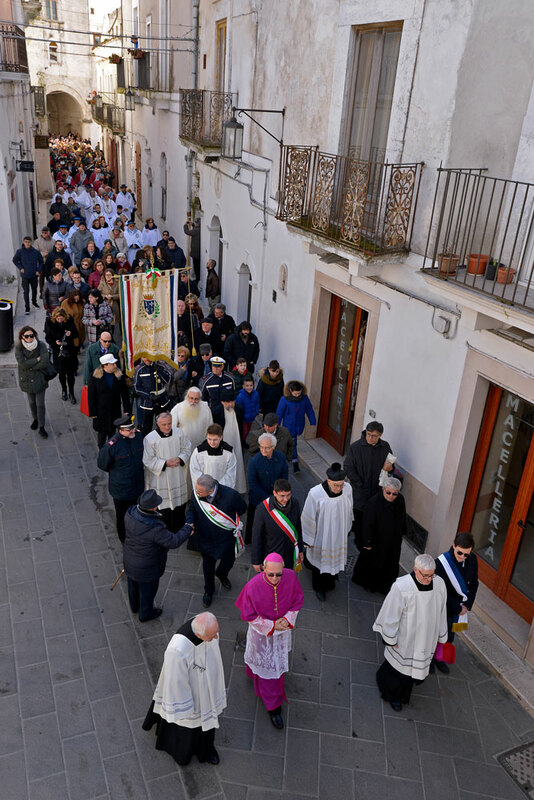 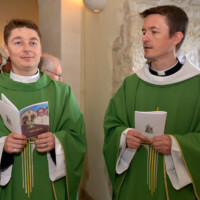 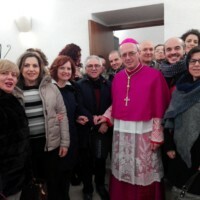 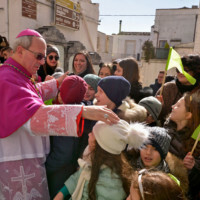 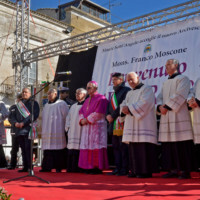 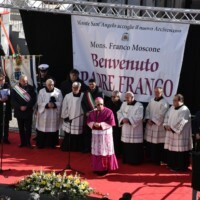 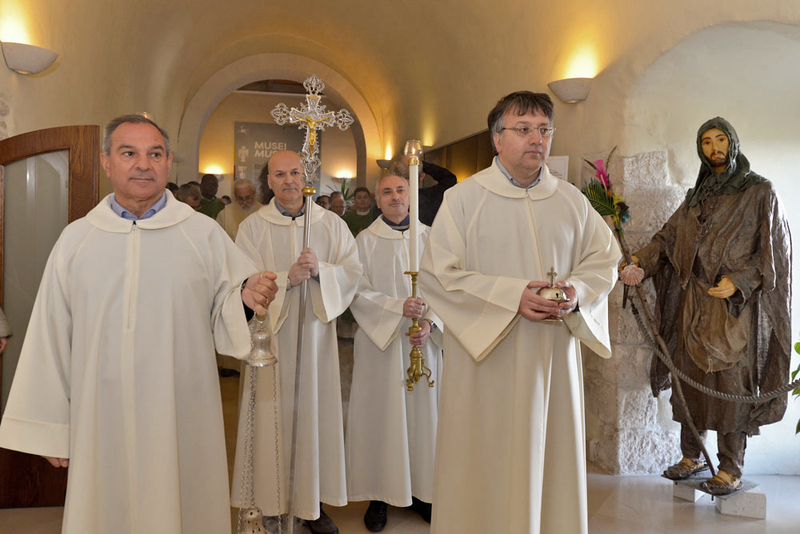 On Sunday 3 February the ecclesial and civil community of Monte Sant’Angelo welcomed the new Archbishop. 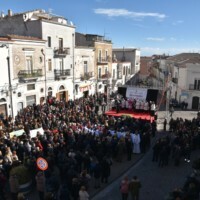 A very large crowd invaded the central square of the city, first, and the Basilica of the Archangel, then, to demonstrate and address the warm welcome to Mons. 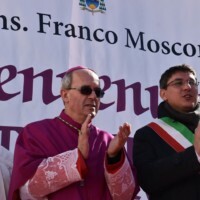 Franco Moscone. 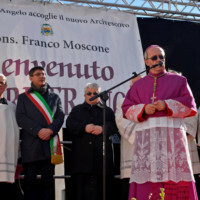 The moment of greetings recorded the interventions of the Vicar foraneo, Fr Nicola Cardillo, and of the Mayor, dr. Pier Paolo D’Arienzo. 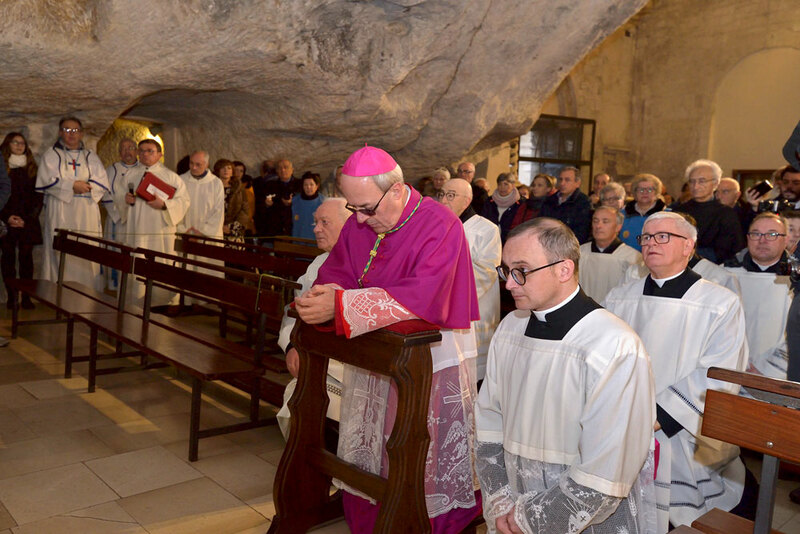 «Welcome among us», the priest began, «on this mountain sanctified by the presence of the Archangel, whose protection, Excellency, we entrust his person and his episcopal ministry». 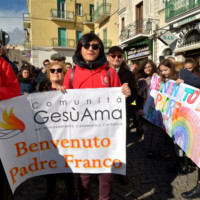 Taking its cue from the motto chosen by the Archbishop in his coat of arms, the Primo citizen has instead emphasized the common mission that sees them «committed to guiding communities on different fronts, but with the same and identical objectives: to create the conditions for wellbeing material and spiritual can generate united and united communities». 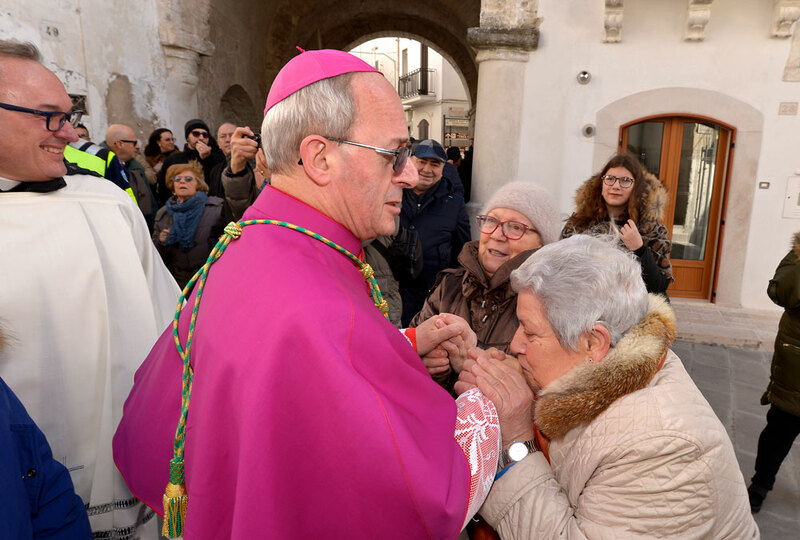 The prelate’s reply, among other things, focused the aspect of friendship, «the great desire of every person: to be and to have friends. 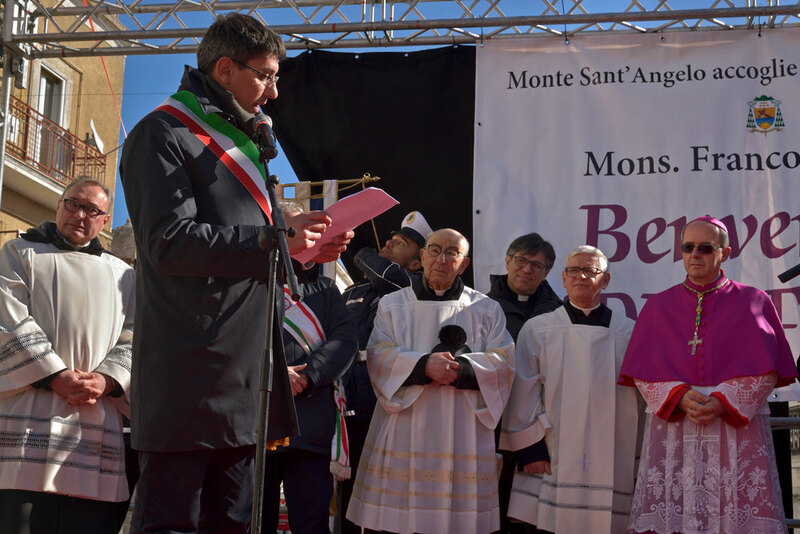 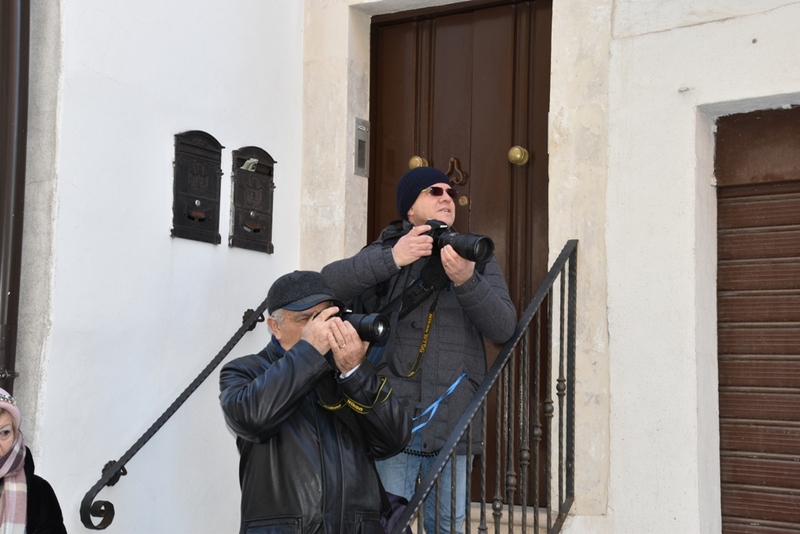 My commitment is to be a friend here in Monte Sant’Angelo, a place where the two realities of mountain and sea are perfectly united and constitute a wonderful balance of beauty and life: this can help me to feel and feel friends and part of an experience of image and heart». 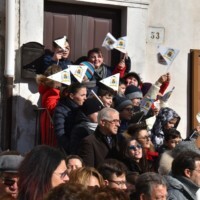 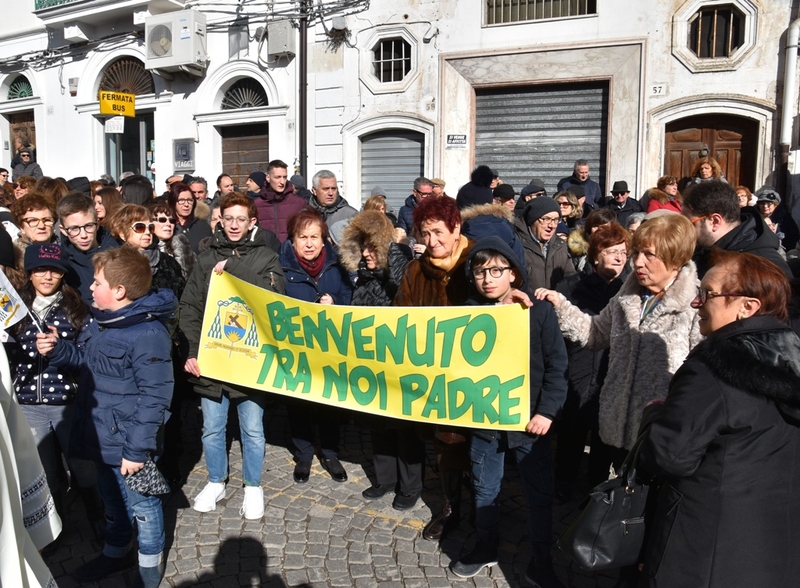 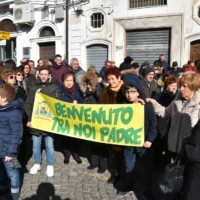 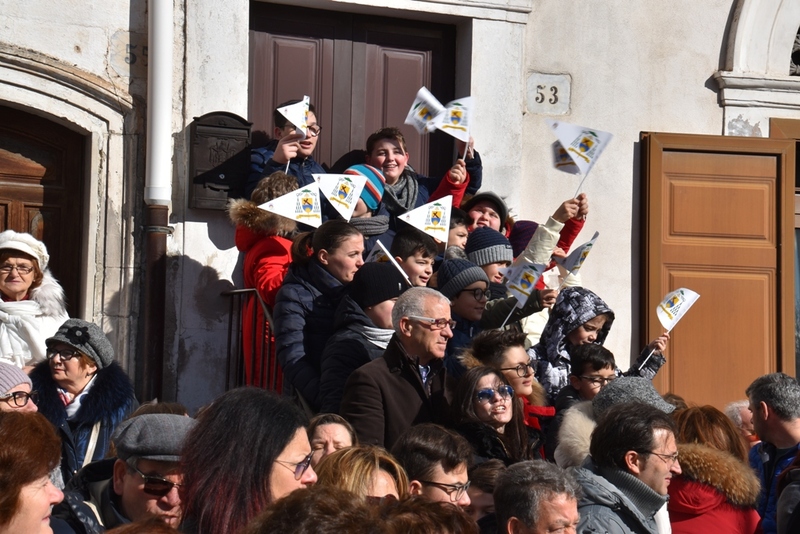 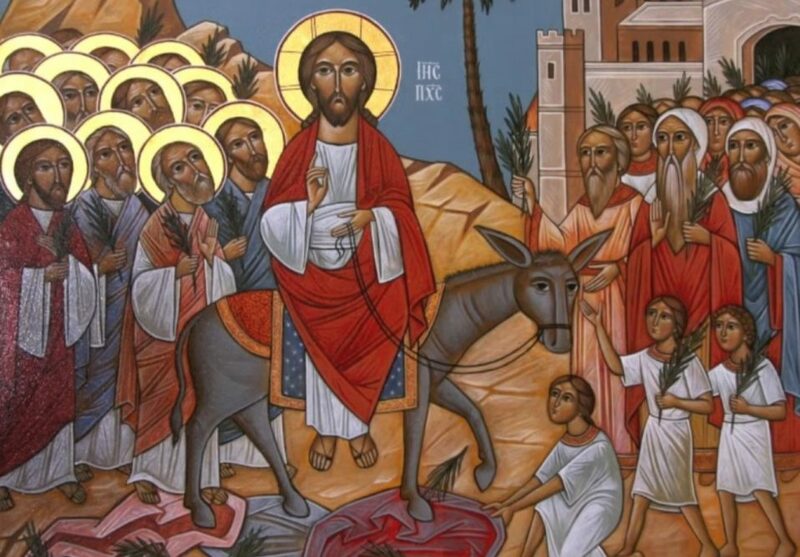 After receiving the homage of a group of boys and pupils, the diocesan pastor headed for the Shrine through the city course: next to him the local clergy, the civil and military authorities, the confraternities, the many faithful. 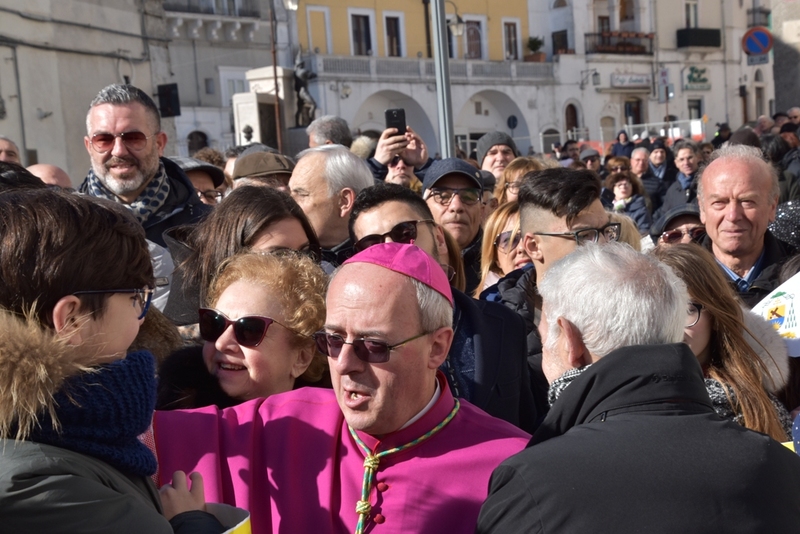 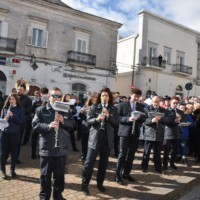 The notes made by the City Band Complex and the joyous participation of the people helped to give the “flavor” of the patronal feast: so many smiles and lots of outstretched hands to which the Archbishop replied with paternal affection. 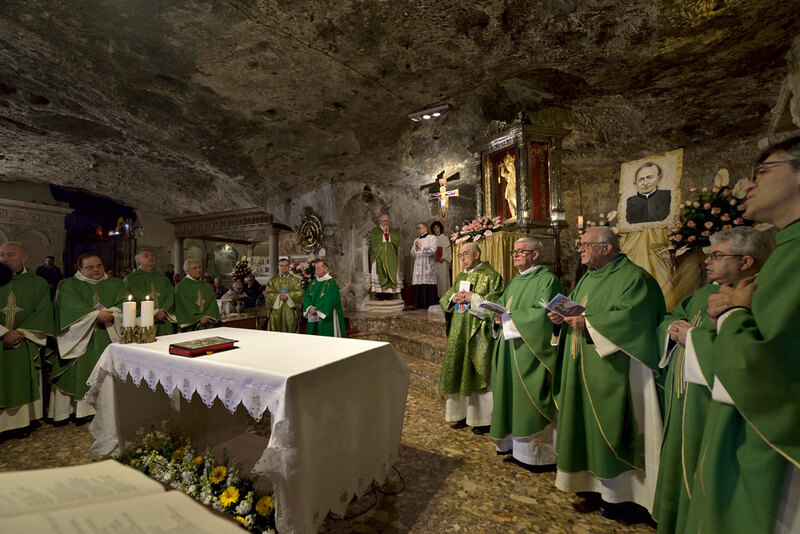 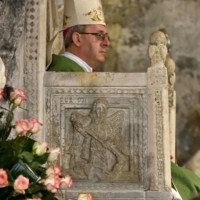 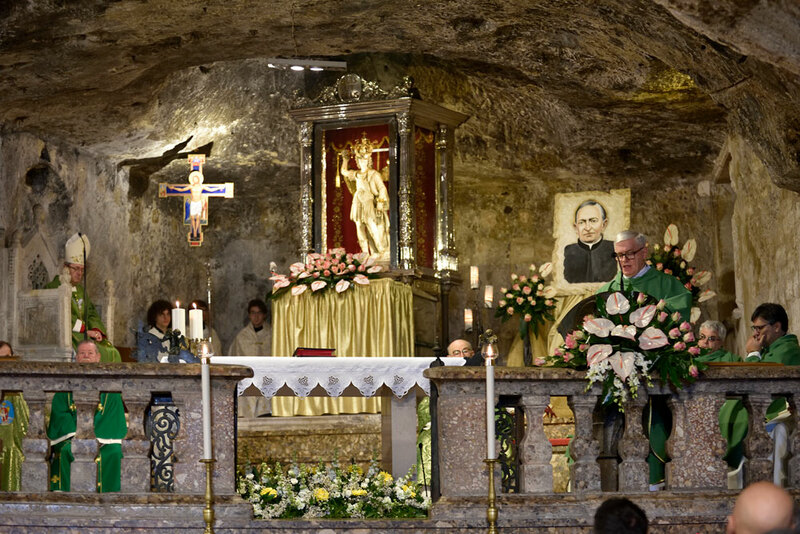 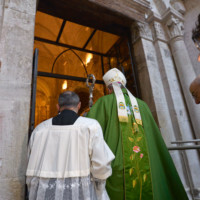 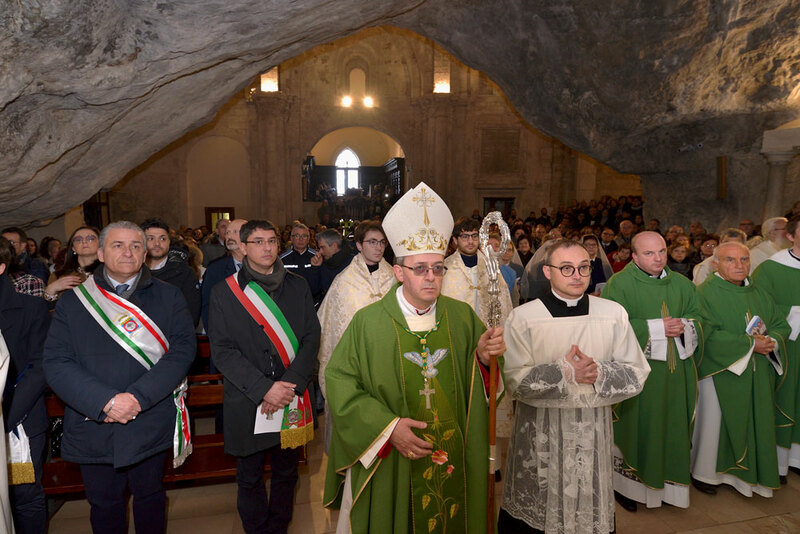 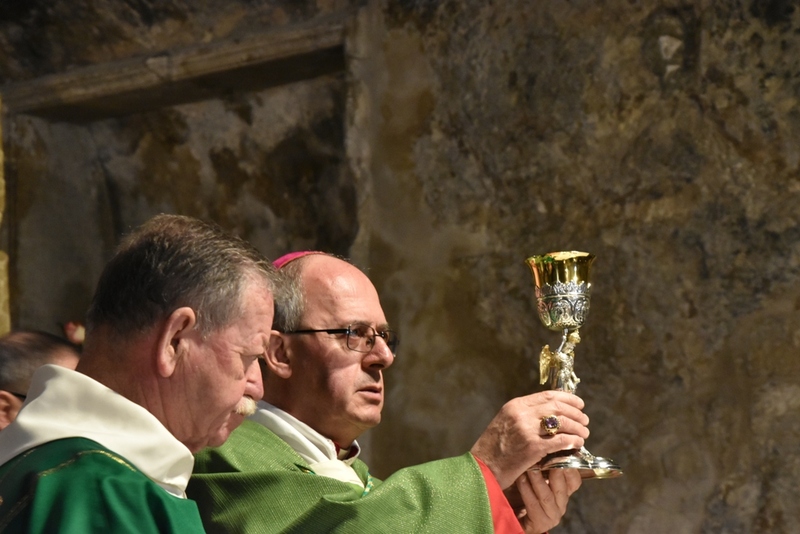 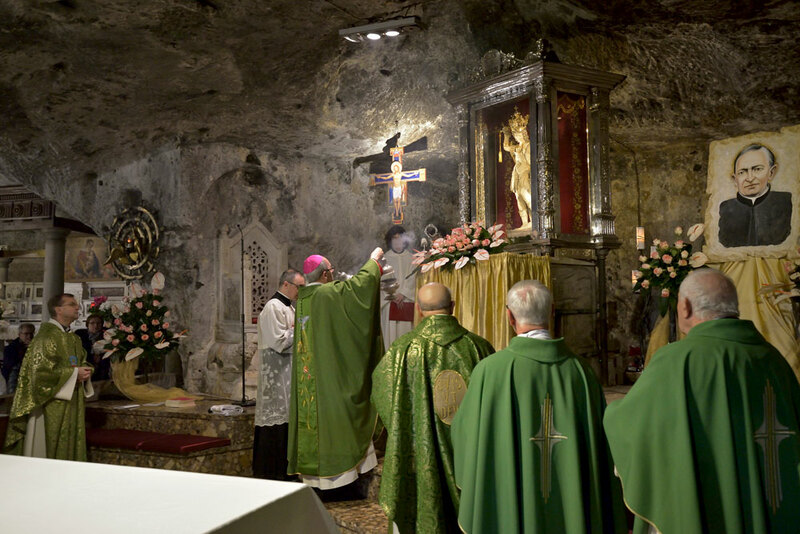 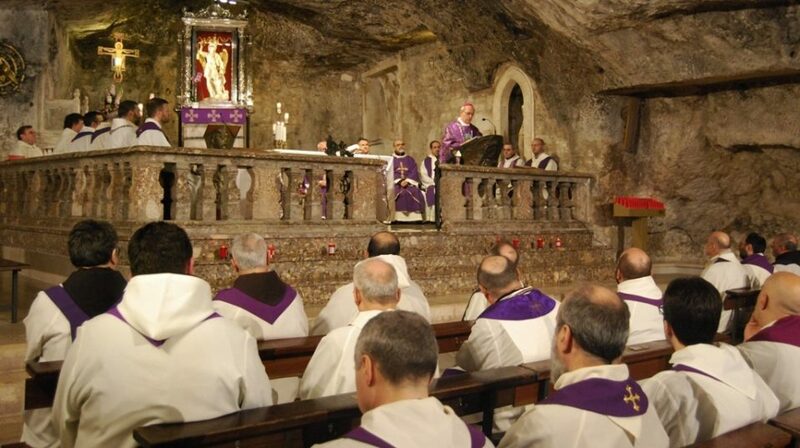 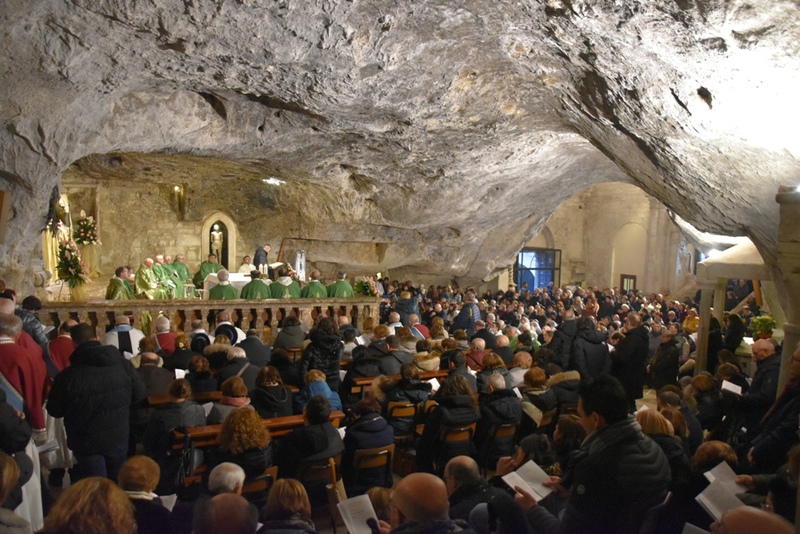 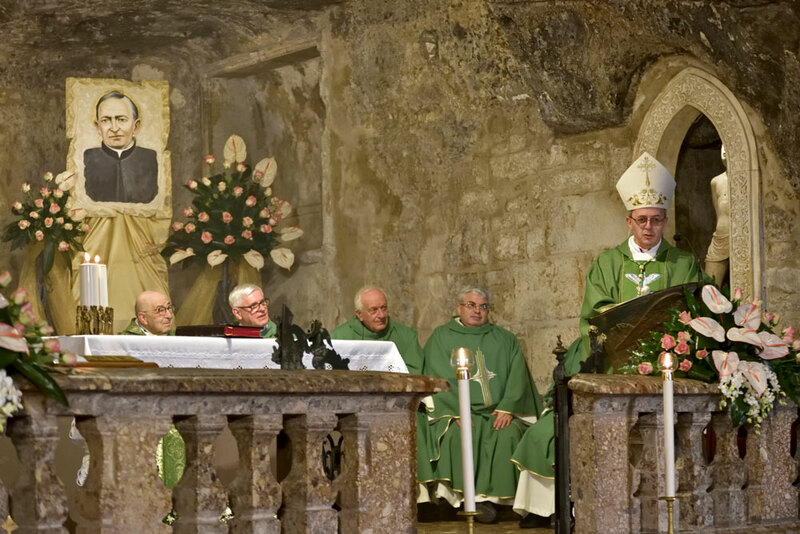 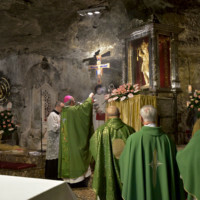 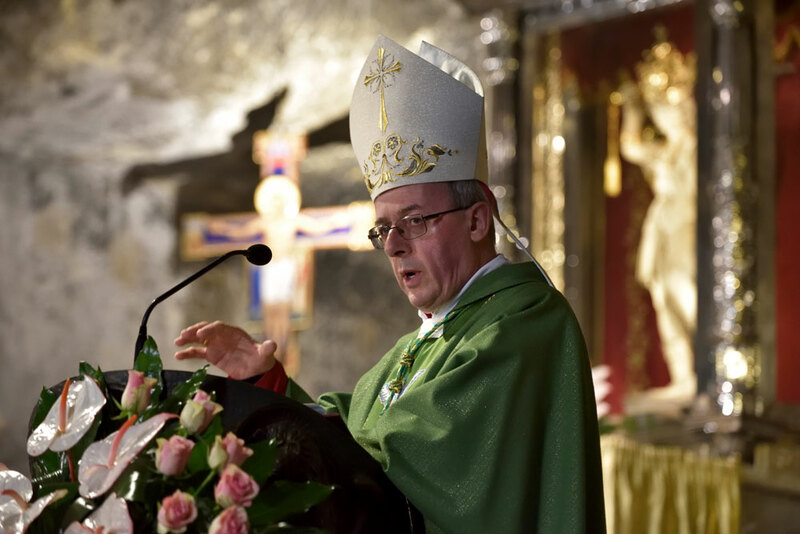 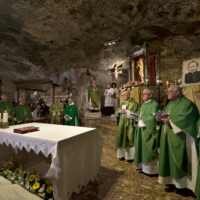 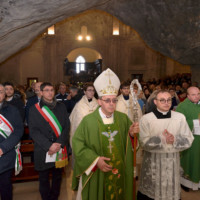 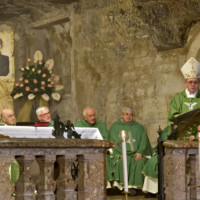 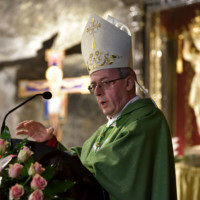 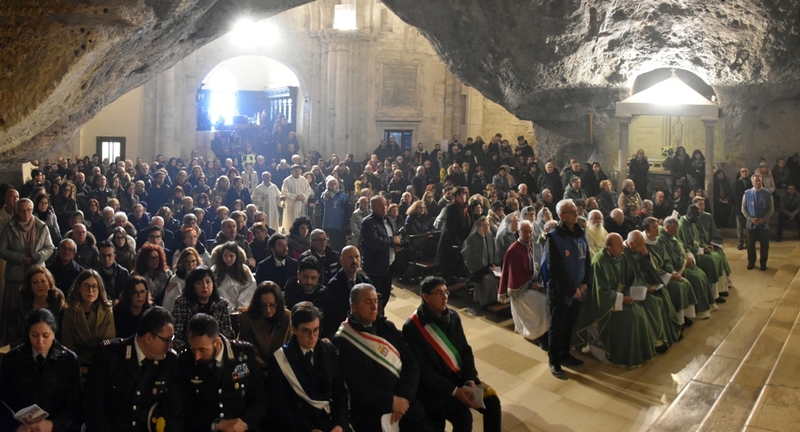 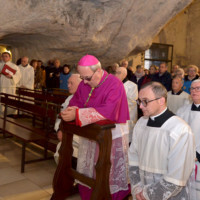 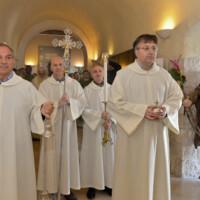 The Eucharistic celebration in the Grotto of St. Michael has, therefore, sealed the importance of this occasion: Lorenzo Maiorano’s successor, Mons. 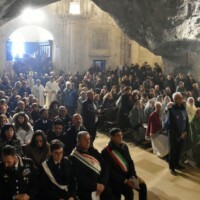 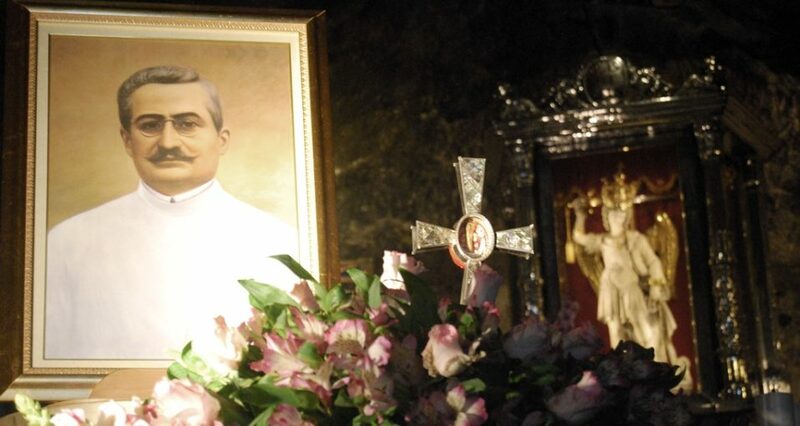 Moscone presided over the Divine Mysteries in that Grotto which for centuries has welcomed men and women desiring forgiveness and reconciliation. 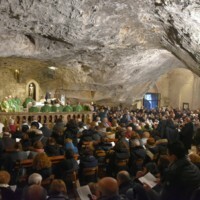 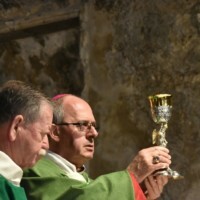 A solemn liturgy, cured and participated: the choir of the Basilica supported by the instrumental collaboration of local violin, flute and clarinet teachers, the liturgical service of the sanctuary, the collaboration of the parish realities, have propitiated the right atmosphere of prayer and communion. 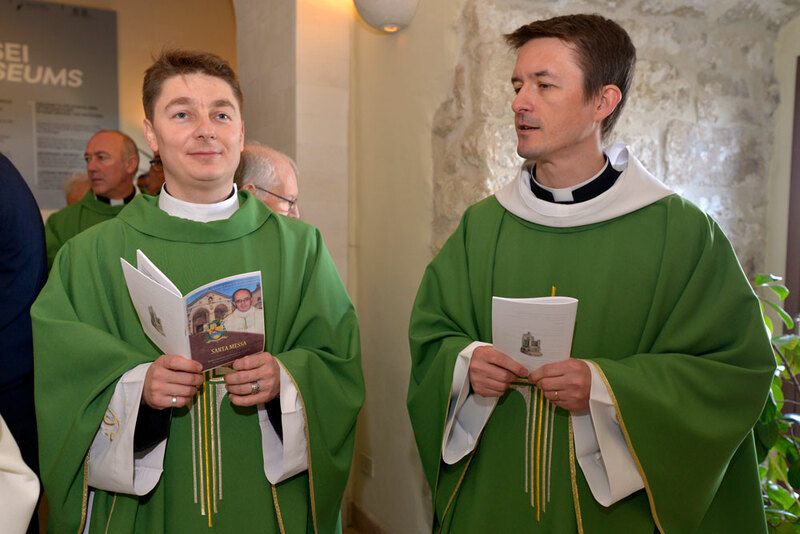 «Welcome, Your Excellency, welcome to this most singular Temple and to our hearts»: making a personal greeting, the Rector, Fr. 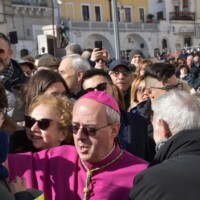 Ladislao Suchy, assured the Bishop of his commitment to professing «devoted sons, ready to welcome and to treasure the his paternal and precious directives». 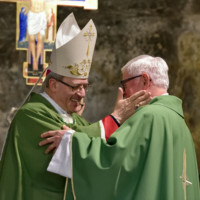 And he added: «Let us encase it in a big, warm and unanimous embrace. 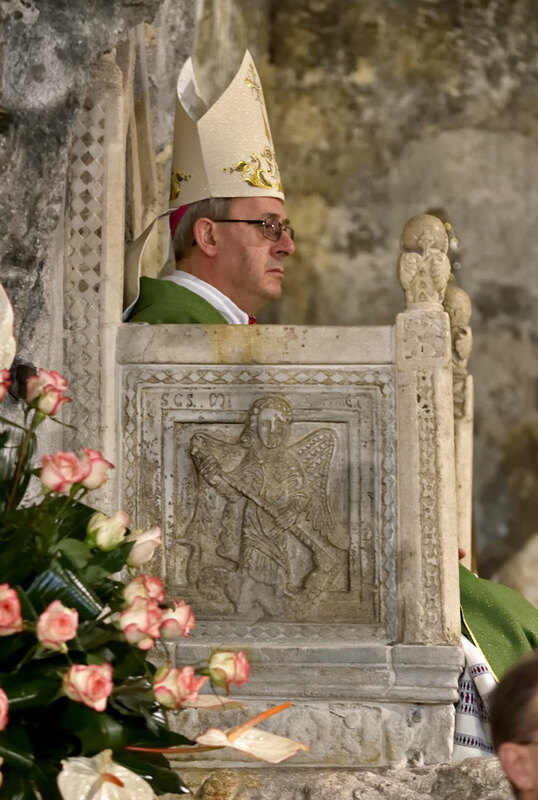 St. Michael the Archangel protects and defends her from every snare, so that her apostolate can always be fruitful and full of consolations and blessings». 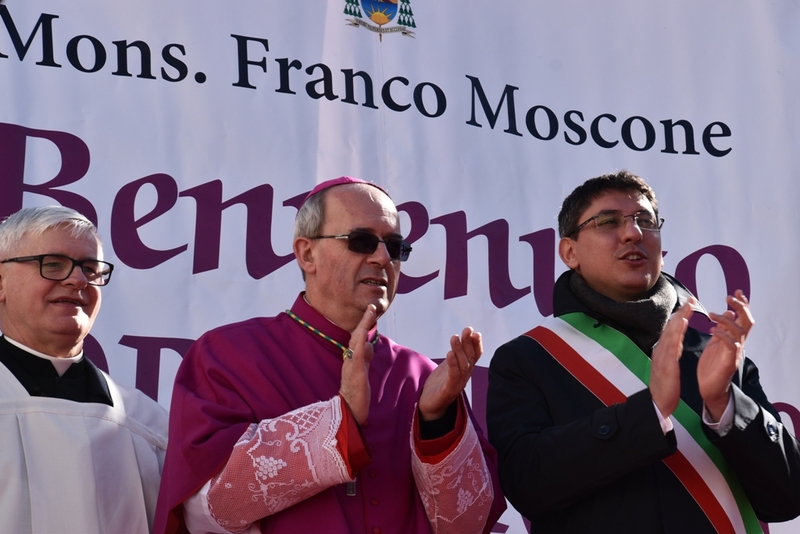 Grate and moved, p. Franco (as he wishes to be called) has given thoughts and reflections related to the theme of justice that we must always be hungry thirsty: «take special care of our people, have innocent hands». 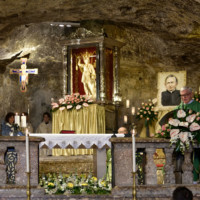 His admonition against idolatry is also strong: «it constitutes cults and rituals opposed to those of God: it exalts private interest in the place of the public good, enhances appearance rather than substance, pushes to corruption and violence” . 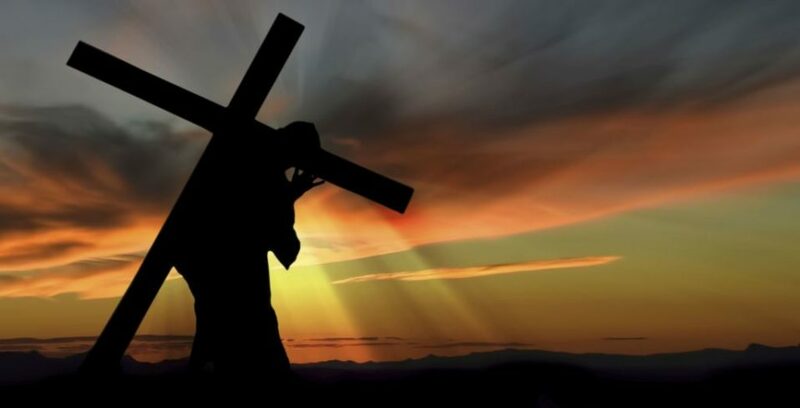 And the conclusion: “only the cross of Christ is the weapon that must be challenged: the only winning weapon of good!».